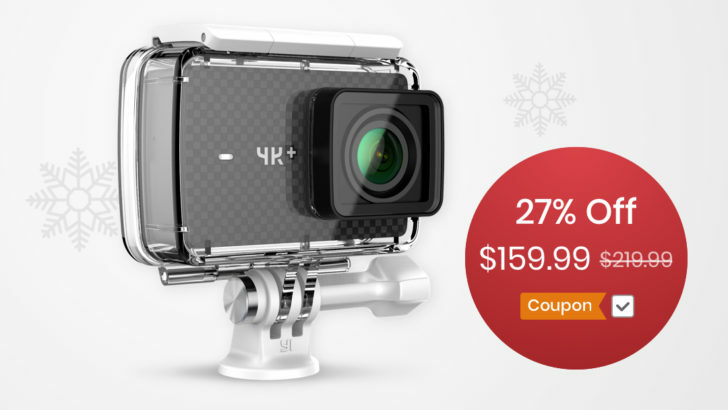 First is the Yi 4K+ Action Camera, pictured above. It's $159.99 on Amazon right now, which is $60 off the original price. This is a full-blown outdoor action camera, capable of recording at 4K 60FPS with its 155-degree wide-angle lens. The camera also features electronic image stabilization, voice control, RAW support, and even a USB Type-C port for charging. 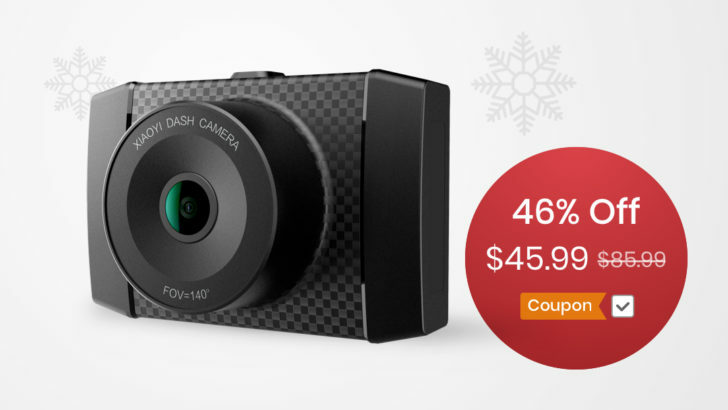 Next, the Yi 2.7K Ultra Dash Cam is currently $49.99 on Amazon — a 47% discount from the original price. As the name implies, this records video at a crisp 2.7K resolution, with a 140-degree wide-angle lens. If you ever get into an accident, the 3-axis gravity sensor instantly saves the footage, so you don't have to worry about losing important video. Next is the Yi 360-degree VR camera, currently on sale for $184.50 (50% off). You can record in 5.7k at 30FPS, or 4K at 30FPS. In either case, the dual 220-degree cameras provide a clear picture of your surroundings. You can transfer video to your phone using the Yi 360 app. 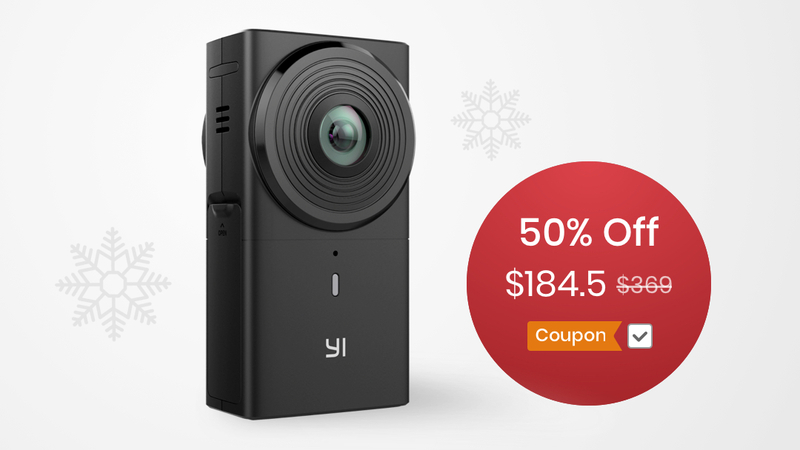 Finally, the Yi Dome Camera is just $40.59 right now, a drop of $9.40 from the original price. This is an IP camera, designed primarily for home use. It can record at 1080p, with a combined 345-degree horizontal and 115-degree vertical rotation range. Two-way audio makes communication possible, and you can set up real-time activity alerts. The optional Yi Cloud service can save recordings in the cloud for safekeeping, in the event the camera is stolen during a robbery.